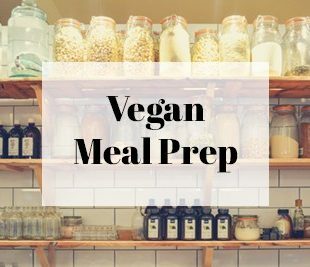 Need some help with vegan meal planning? In this post, I share strategies that have helped me get meals together easily and stay on track with my healthy eating! Ever get home, feel so tired from work and are starving…only to realize you don’t know what you’re having for dinner? Then you try to whip something up but that doesn’t turn out well so you end up just ordering takeout anyway? I’m with you, I’ve been there too (more often than I care to admit actually). The one thing that keeps me on my healthy path is meal planning. With vegan meal planning, I know what I’m eating and when I’m eating it so there are no bad decisions made when I’m tired. And with some vegan meal prep, it’s not as hard to get something healthy on the table quickly. Will it take a little time on your part to get things planned and prepped? Hecks yeah, but it’s totally worth it. By taking some time on the weekends to get ready, the weekdays will be so much easier (and healthier) for you. Today I’m going to share with you some meal planning tips that have helped me tremendously with having nutritious food throughout the week. 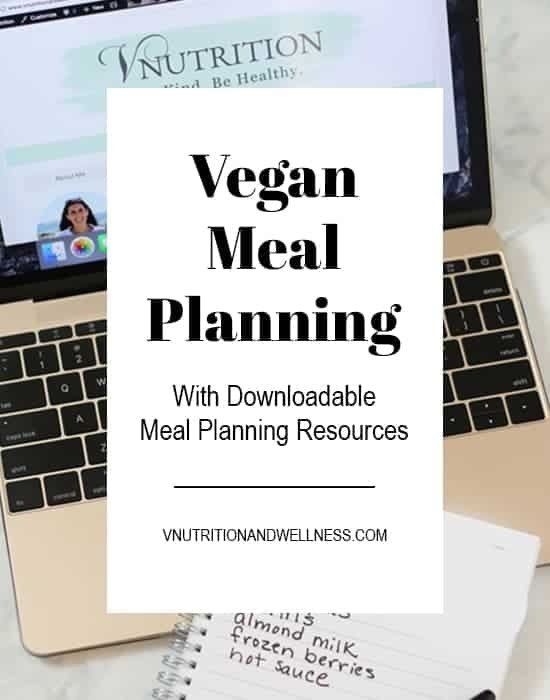 And check out the bottom of this post for my Vegan Meal Planning Resources to help get you started! The first thing I do before anything else is to decide what I will be making. I take some time on Friday or Saturday so I’m all set when I go to the grocery store Sunday morning. 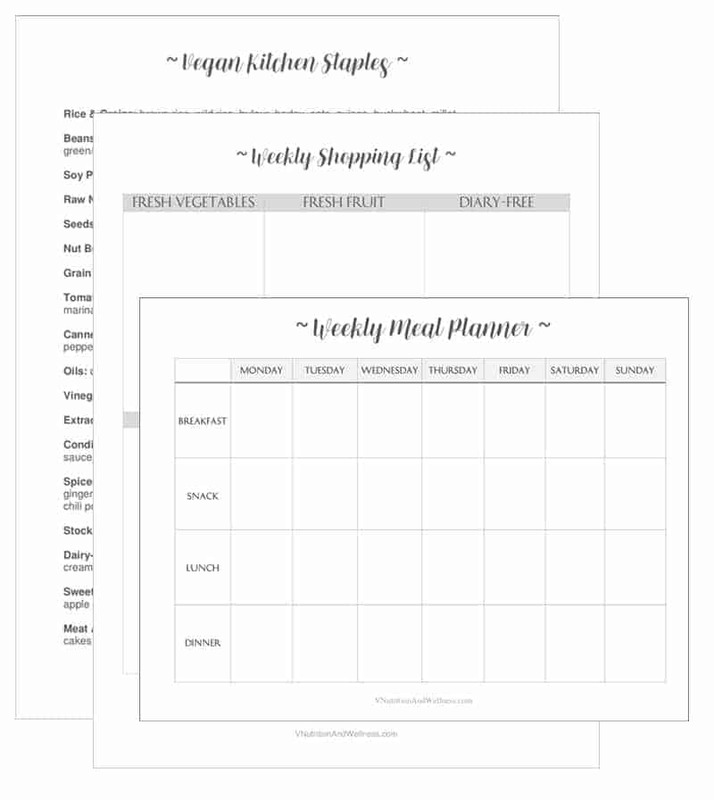 If you would like a way to see your whole schedule, My Meal Planner for the week is included in my Meal Planning Resources! Extras that will I need besides main meals. Think ingredients for salad dressings, snacks, etc. Does it have veggies, protein, carbs and some healthy fat (avocado, olive oil, nuts) for a nice whole meal? If not, what can I add to make it more balanced? Be flexible. Nothing has to be set in stone. I want to stress this. While vegan menu planning might seem daunting at first, things don’t have to be all or nothing. You don’t have to plan for the whole week if you don’t want to. You can start with planning a few meals each week. Sometimes I only write down a few dinner ideas then I use the leftovers from the previous night’s dinner for lunch the next day. It still helps tremendously having at least a few things ready, especially for those days that you know you’ll be busy after work. Make at least a few easy/favorite recipes. I like to do a mix of new recipes and old favorites. If you’re new to vegan recipes or meal planning it might be easier to stick with simple recipes. Bowls (like my Green Power Bowl) are my are easy and versatile. All you really need is a grain, some veggies, and protein. 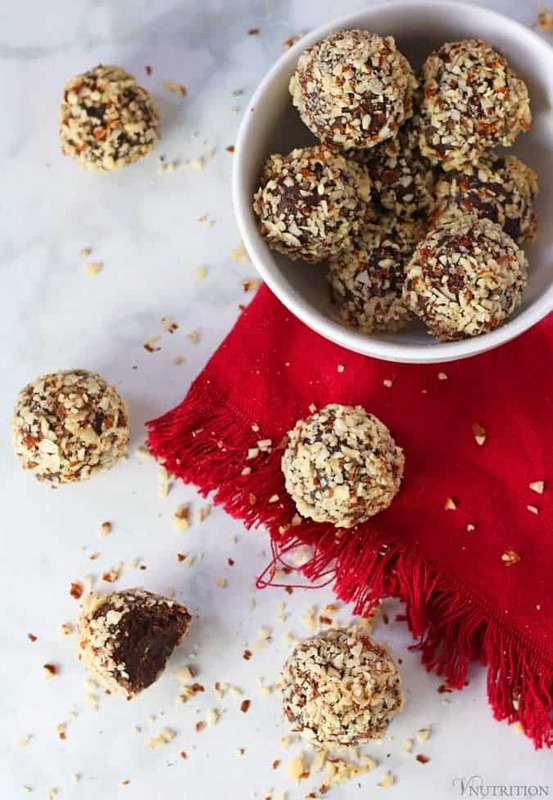 I also have a few recipes that are my go-tos which I know I’ll enjoy and that I’m used to making so things don’t get too stressful every night with a new recipe. I’ve made my Lemon One Pot Pasta so many times now it’s a no-brainer to add to my dinner ideas if I need something quick. Plan on batch cooking some items on Sundays. I have a list of staple batch cooking items I prep before the week begins. 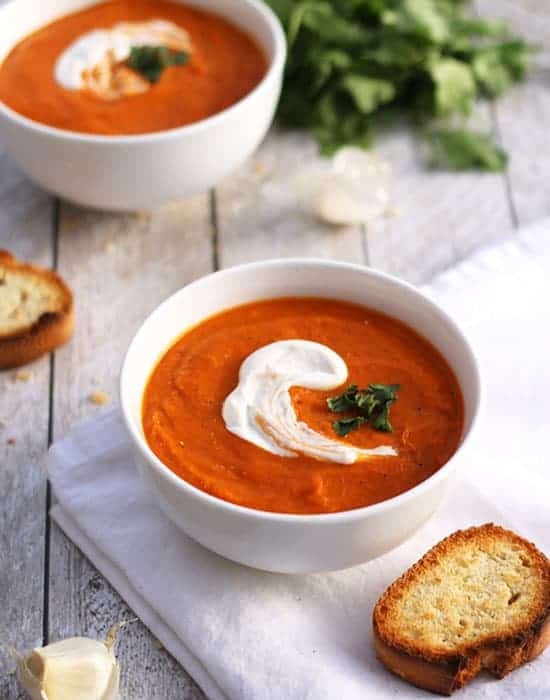 Things like grains, soups, dressings and roasted veggies are easy to make ahead and then you’re set on those things for most, if not all of the week. My rice cooker is a big time saver. I put the rice in, prep other things and don’t have to think about it until the timer on the cooker dings to tell me it’s done! 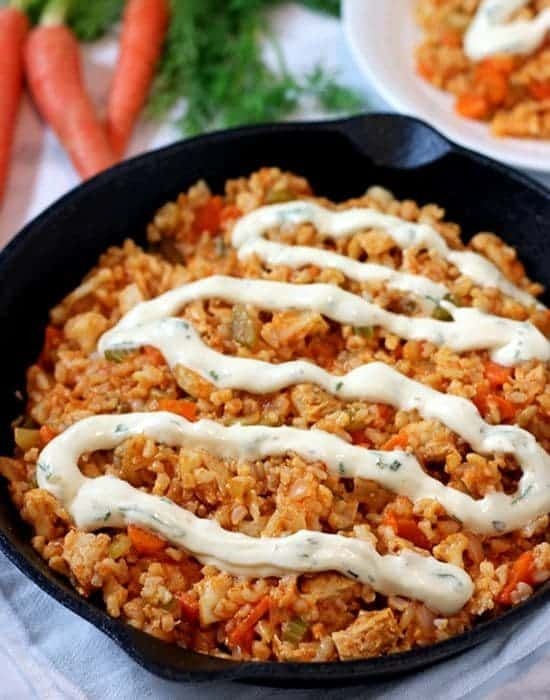 I use the cooked rice in recipes like my Buffalo Chick’n Rice Skillet and pre-cooked quinoa in my Southwest Quinoa – and of course, I use them for my bowls too. Check out Vegan Meal Prep post for more! Have a backup plan. It’s always best to keep ingredients for go-to meals on hand for just in case. For instance, I always have frozen veggies, pre-baked store-bought tofu, and rice on hand for a quick stir fry or canned chickpeas, coconut milk and crushed tomatoes for my Roasted Tomato Chickpea Soup. That way I know I have these options in an emergency so I’m not forced to order takeout. A well-stocked pantry is key. Different herbs, spices, and condiments can add flavor to make your dishes delicious! 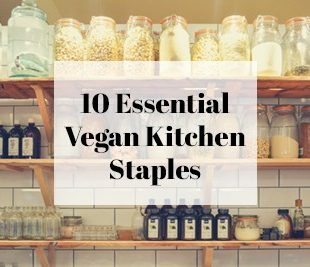 Check out my 10 Essential Kitchen Staples post for my favorites. My Meal Planning Resources also contains my full list of items I have in my kitchen. Once you’re done deciding on what you’re going to eat that week, make your grocery list. Don’t forget to add any snacks! A grocery list is also included in Meal Planning Resources. When shopping, try to stick to the list so you’re not picking up extras. This will save money and you won’t be buying impulse purchases (which are often unhealthy). I like to stick to the outer aisles of the grocery store. I also hit up the organic aisle as well as a few others for staples like spices and beans but most of the middle aisles are full of processed foods. While those are okay sometimes, we want to focus on real, whole, veggie-based foods. I’m hoping to have a meal prep post up at some point. I’ll talk more about what I do on Sundays to get food ready for the week. Want a little more help? 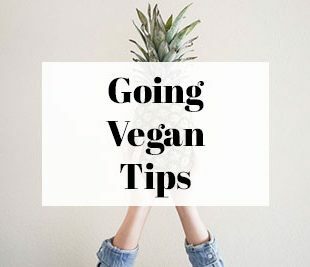 I put a together my favorite Vegan Meal Planning Resources just for you and you can receive them by signing up for my weekly newsletter! You can use the Meal Planner to create your own weekly program and the Shopping List to track the groceries you’ll need that week. Both documents are writeable PDF’s so that you can reuse over and over again (simply double click in each box). Like mypost? It would be so wonderful if you could give it some love by sharing! Such good tips! Meal planning is so important. I also like to do recipes I already know so It’s less stressful and mix that in with new ones. Plus keeping pantry staples for a few meals is always so nice! So much heart and love you put in your work Mary!! Love your blog and recipes! I am too disorganised to do meal planning though I try to do it sort of. Weeks work better when I know what I am cooking but then there are weeks like this one that I made a chilli on Tuesday and am still eating it in leftovers on friday and haven’t made the patties I planned. I do find that thinking of bowl food is a great way to use leftovers if you just include them in the bowl rather than thinking about what sides to use as I can just add some random vegies in the bowl rather than trying to make a side dish or side salad. Yes, the bowls are really my key to staying on track. Most of the ingredients I can make ahead of time then I have dinners or lunches set for a few days with only having to heat a few things up. PS – your chili sounds tasty! I agree so much that you have to be flexible with your menu plan. I like to have a list of all the meals I already have everything to make so I can decide what I feel like on any particular day. Thanks! Yes, I feel like once things get too strict it can be be overwhelming and off-putting. That’s such a great idea to have a list of meals you have all the ingredients to make Alison! I love your vegan meal planning resources. The meal planning resources are such a big help. I tend to make many of the same meals over and over again so meal planning would be a great way for me to branch out a bit. Mary – this post is amazing. I often find that I plan my dinners for the week but I’m left scratching my head for lunches and snacks. I’m inspired by your post to cook up batches of grains and dressings so that I can have a lot of healthy salad fixings on hand. This post made me excited to meal plan and prep this week. Thank you for all you do to help make healthy vegan eating fun and easy! I love this, Mary Ellen! Meal planning is key for me as well. I usually plan 4 meals and then rely on leftovers or a quick rice and beans type dish the other 3 nights. It really does make life sooo much easier if you already know what’s on the menu. Love those worksheets too! You know, I find myself lacking inspiration these days, due to being tired and too busy. This will be the perfect way to get me started again… So thank you! I have bookmarked it and printed it. A lot of these tips are logical… But we often forget to think of them. So for that, thank you again! Oh girl everyone should read this post! I find that meal planning comes and goes with me. I know ultimately it actually saves time though and less takeout and less throwing away of food. This is inspiring me to get back on the meal planning train. I actually did last week for this week. So far so good! Going into spring certainly helps as the seasonal produce gets better and more abundant. And I’m lucky enough to live steps from a weekly Farmer’s Market. Thanks so much Kimmy! I’m right there with you, it comes and goes. I’m trying to get back on the train with this post. It helped me a lot to write it all down. You’re so lucky with your farmers’s market. There’s one in my town now but it’s kind of sad. Is casual meal planning a thing? Because I plan things out in my head on the way to the store, and have meals for the whole week, but I don’t always chart it out! I also have each of my kids contribute one meal idea for the week so that they share the responsibility! Yes, it’s totally a thing! I would do that too if I could keep anything straight in my mind! Aw, I bet they love picking out meals and that gives them the feeling of being involved! Such a great idea! 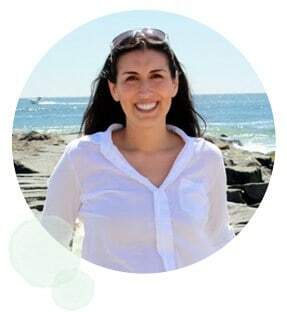 I'm Mary Ellen, a licenced nutritionist with a passion for guiding women to feel their best. I want to show you how a plant-based diet can have you looking good, feeling better, and eating well.